A long overdue report on the investigation into expenses claims made by Lancashire’s crime supremo found there was “no evidence” of any serious wrongdoing. Former milkman Clive Grunshaw, who was elected as Police and Crime Commissioner in 2012, today blasted a watchdog for taking “too long” to investigate allegations made against him. I no longer make and claims for expenses. This will save my political opponents lots of time looking for anomalies. The Independent Police Complaints Commission (IPCC) quietly published a series of reports last month detailing its inquiry into claims he dishonestly claimed expenses during his time as a county councillor – two-and-a-half years after it was launched. Some of the money he over-claimed has already been repaid and he said he is now “making arrangements” to pay back the rest. The watchdog investigated 55 potentially “suspicious” claims made by Mr Grunshaw between February 2009 and July 2012 worth a total of £2,655,88. It found evidence to suggest on some occasions he had claimed for journeys back to his Fleetwood home between meetings when, in fact, he had stayed in Preston. On others he claimed for attending meetings where there was no record of him having turned up. The errors were blamed on bad record-keeping rather than dishonesty. 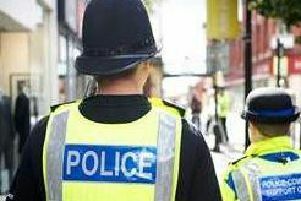 The report found Lancashire County Council, Wyre Council and the now-defunct Lancashire Police Authority has lost out on a combined total of between £360 and £400 as a result of the disputed claims. It said the figure was less than three per cent of the total claimed during that period and represented an “expected” level of error. It is not known exactly how much the IPCC has spent on the investigation but the combined cost of its own probe and that of the CPS is at least £9,700. Mr Grunshaw said, while he has not let the saga impact his role as Police and Crime Commissioner, it was a “mistake” for the Police and Crime Panel, which holds him account, to refer the matter to the IPCC. He said: “It was the first meeting since the elections and I’m not quite sure they knew what they were doing. Mr Grunshaw previously said the allegations were “politically motivated” after former Conservative councillor Sam Chapman gave details of hiss expenses claims to a national journalist. Addressing the overpayments claimed by Mr Grunshaw, the IPCC ruled: “This level of error is to be expected for errors in process and mistakes that had continued for a number of years unchallenged, rather than being indicative of a concerted effort to defraud a public authority.